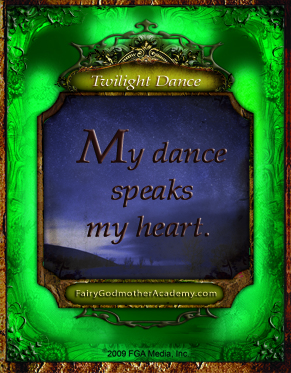 Twilight DanceMy dance speaks my heart. In Kerka’s story, the Kalis Dance is a powerful form of self-expression, made up of symbolic movements that hold special meaning for the dancer. Dancing can be an amazing way for all of us to express our feelings–think of the movement as a way of speaking or telling a story without using words. Your dance may change from moment to moment or day to day. One thing you can always count on–it will be as unique as you are! Experiment with new tunes: Everyone has a favorite song that makes her want to jump up and dance—how about trying out other types of music you don’t usually dance to? Perhaps a classical piano piece or some jazz. Different music may get you moving in a whole new way! Find or create a soundscape: Rhythm is what invites us to move. Listen to the sounds of your environment. Birdsong, rainstorms and even construction might provide some interesting beats. Or make your own. Explore silence: Move as slowly and quietly as you can. Feel the difference in your muscles. Notice your breathing. Try balancing on one foot, then shifting from one to the other. Go in super-duper-slow-motion. What mood are you in? Joyful, rambunctious, sad, shy. Use your movements to express these feelings. Reach, jump, crumple, roll, spin. Make yourself as tiny as possible or take up the entire room! A snowflake drifting slowly to the ground. A moth or butterfly gently fluttering in circles. A prima ballerina bounding across a stage. A rockstar jumping as she jams on guitar. A ghost drifting through a house. A strong wind blowing through the treetops. Give it a chance and make it your dance! you have earned a wisdom card! I like this book too! Sometimes I try out new moves in front of a mirror. I like to imagine what it would feel like to be someone else. This book is great I could not put it down, when I did put it down it was 10:00pm! And I started reading it at like 8:30, I guess I just got sucked in the book. I love this book it shows the unique character of each person and shows how family should stick together. i didn’t try it yet so i don’t know what it feels like. I love this book because I love dance! 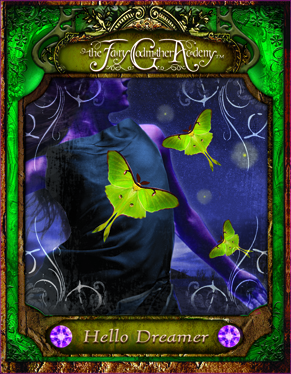 Love to dance, but does anyone know what you DO with the Wisdom Cards, or are they just Wisdom Cards? I was danceing with courage, passion, hope, I dance like that all the time at ballet classes and sometimes at home. I love dancing so much its my dream. Passion, hope? Was my brother messing with this! I made up a move called “Leaping Hare” which I really love! for color try thinking of the meaning of each color and dance like its meaning. I only have one book but I found the wisdom card and thought this sight would be cool…it is! I REALLY WANT THE REST OF THESE BOOKS!!!!!!! I take dance class still is hard but i like it. Totally a awesome craft. I have one that’s silver and gold. I am a good dancer. My dance won gold medal at the Orillia opera house in Canada!!! Dancing is a special form of prayer. I’m not really certain about most things, but I know I love to dance, and I don’t really “fit in” all that much, but dance kinda’ helps me cope with all the ridiculous things in my life. Local Lineage: Start a Green Squad!